A formal letter was sent to the Alliance HQ. 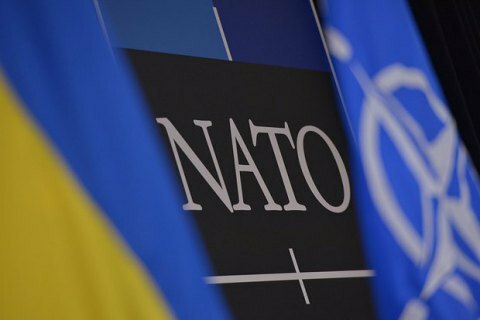 Ukraine has submitted an official request to be a member of the NATO Enhanced Opportunities Programme, Deputy Foreign Minister Vadym Pristayko said on 23 September as quoted by Ukrinform . "Two days ago an official letter was sent to the headquarters of NATO. Now, it is up for the nations to take a formal decision," said deputy foreign minister. There is a very complex mechanism of interaction in the Alliance, Pristayko admitted, and said Ukraine was planning to improve the format of the annual national cooperation programs with the Alliance. "We want this big cumbersome document to boil down to one mechanism that will describe the policy as tasks are implemented," the deputy minister said noting that the official document would be worked out in cooperation with a NATO advisor. The Enhanced Opportunities Programme for special NATO partners envisages deepening of cooperation aimed to achieve a complete compliance with the standards of the Alliance. Currently, the participants of this program are Sweden, Finland and Georgia – on an initial phase. President Petro Poroshenko has said the NATO membership is a strategic goal of Ukraine.